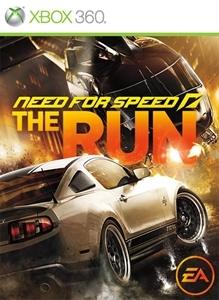 NEED FOR SPEED™ THE RUN: Trailer 1 "Death from Above"
NEED FOR SPEED™ THE RUN: Trailer 1 “Death From Above” is here! As your epic cross-country race speeds into downtown Chicago, the mob is closing in and the cops are hot on your trail. Prepare yourself for breathtaking action both behind the wheel and on foot as you’re forced out of your car and onto the rooftops for a dizzying game of cat and mouse. Steal a police cruiser then evade the mob helicopter’s relentless pursuit and a hailstorm of bullets in your desperate attempt to leave Chicago in your rearview mirror and get back in the race.